An eerie mist hangs over a glassy sea, its secrets held close. In the distance, birds float freely while a seal cavorts nearby. 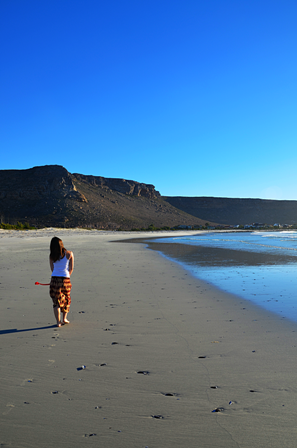 The renowned Elands Bay surf break, some 200 km North of Cape Town, lies dormant. 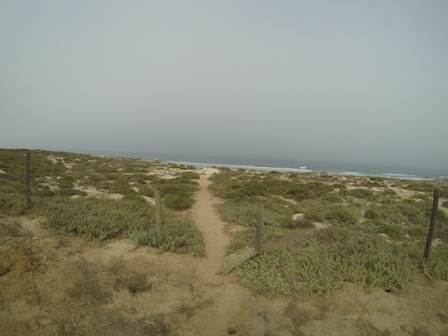 I have seen the reef at Elands Bay working to its full potential only once before, and besides the pleasure of surfing this wave, just standing on the beach and watching it crank is a special sight. Nature has indeed done splendid work to create such a remarkably mechanical wave. 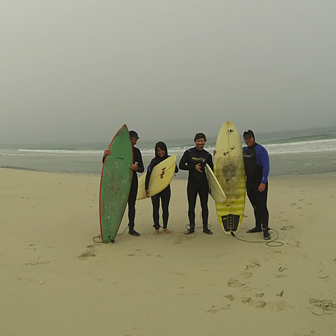 However, on a recent surfing trip to Elands Bay, that perfect wave of our dreams was nowhere to be seen. 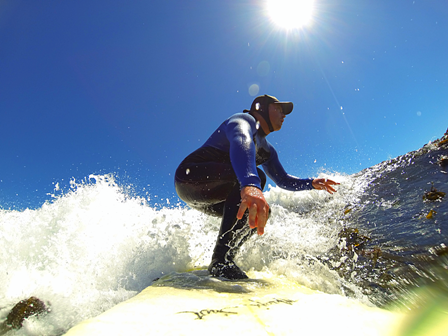 Surfing in Elands Bay, for me at least, is a deeply cleansing experience, whether there’s a wave or not, there’s always fun to be had. The scenery, cold water, mountains, dust and sand that dominate the West Coast landscape creates a perfect playground for the soul. The best thing about surfing Elands Bay when there’s no swell is that there are no crowds, you have the reef all to yourself and even better, there won’t be anyone watching. Frolicking in the stinky kelp in hope that the odd wave might come along is certainly fun and it can pay off if you’re patient enough. Most surfers wouldn’t even bother when the sea is flat, but surfing in Elands Bay no matter what, forces you to realise that it’s not always about the quality of the waves, but rather about appreciating the experience. Throw some good friends and camping into the mix and you have a recipe for making unforgettable memories that will keep your stoke meter topped up until the swell eventually arrives. As it turned out, there was no swell coming our way so we decided to explore the coast towards Lamberts Bay for a wave, however small. Luck was on our side, and we found a tiny gem. It wasn’t long before our wetsuits were on and we paddled into the mist, but we weren’t alone. A pod of West Coast Dolphins welcomed us while we had the time of our lives on this desolate piece of coast. The experience was surreal and full of joy. It was all worth it in the end. 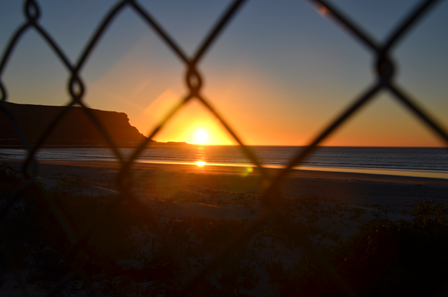 This entry was posted in Travel and tagged Elands Bay, surf, surfing, Surfing Elands Bay, Surfing West Coast, waves, West Coast Surf. Bookmark the permalink.